Creating something worth talking about in today’s music scene may seem almost impossible. Many artists strive to have a unique sense of artistry to uphold their name by presenting a distinctive stage presence or even making a wild style choice. Bands that are known for their positive messages and contagious passion truly stand out in the industry. 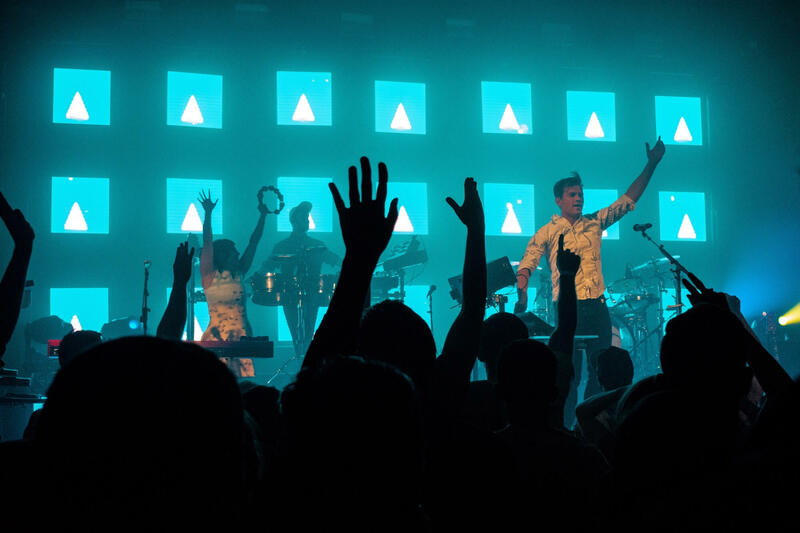 One of these groups, St. Lucia, composed of Jean-Philip Grobler, Patricia Beranek, Ross Clark, Nick Paul and Dustin Kaufman are known for their throwback 80s synth sounds and have a lot to celebrate with their growing fame. 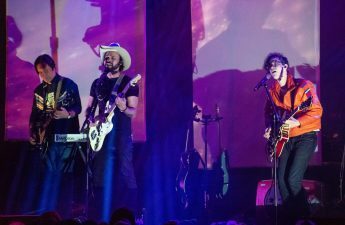 The ensemble lit up the stage at their Oct. 5 performance at the Barrymore Theatre with their eclectic instrumentation and brilliant production. 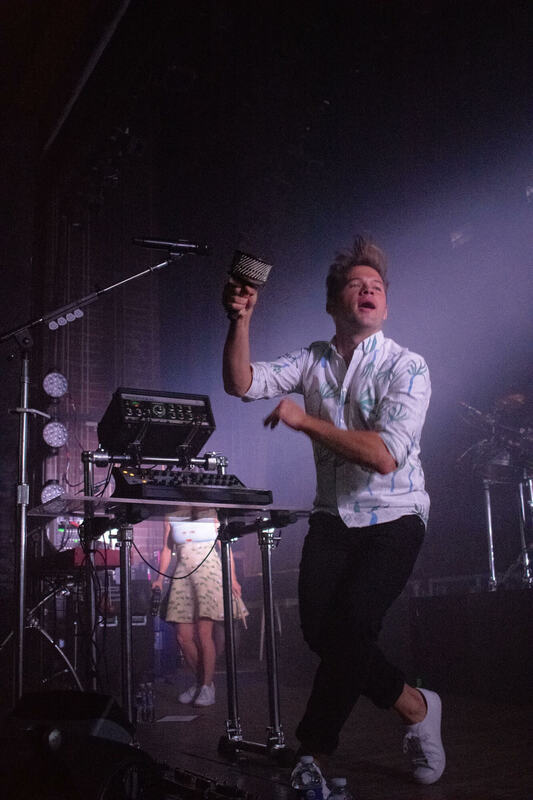 Their sound is composed mostly of electronic indie pop tones, however, they showcased talent in every area Friday night. South African-born and Brooklyn-based frontman Jean-Philip Grobler proved himself as a versatile musician, switching continuously from electric guitar to acoustic guitar to keyboard. Alongside him, vocalist and wife Patti enthusiastically shook her tambourine as she sported a silk, flared dress. 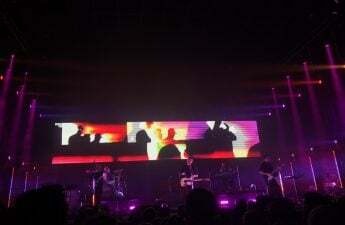 The tour featured many concepts from the group’s latest album Hyperion, including 11 uplifting songs which convey motivational vibes radiating through each of their sing-along choruses. The couple enjoyed composing the latest project together during a time filled with transition and new beginnings for the group. During a phone interview with Grobler, he indicated the best parts of creating something so great are the first few ideas and the possibility surrounding the album, as well as the end result — when he finally creates something he’s proud of. Judging from the tone of his voice, Grobler is very proud of what he and his team created this year. “A Brighter Love,” one of my personal favorites from the new project, created a wonderful mood. 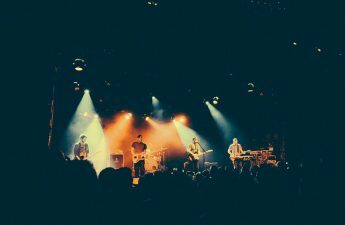 The song communicates the spirit of their new album flawlessly through themes of hope and staying true to oneself even when the world seems at odds. 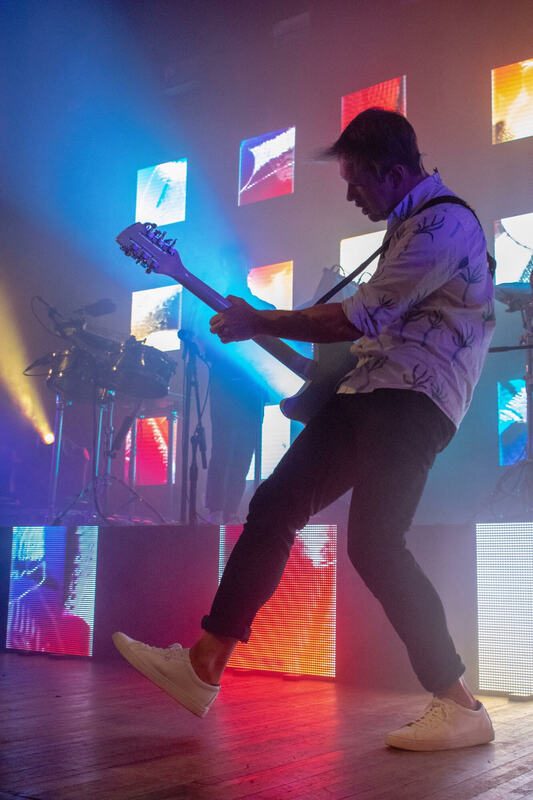 Their stage production consisted of a colorful array of themed LED screens which enhanced their already vibrant stage presence. A series of light shows also added to the kaleidoscope of vibrant rhythms. A softer side of the show began when Grobler traded his teal electric guitar for a wooden, acoustic one. Grobler was very open to express that he wrote his favorite song off the album, “Bigger” for his son. He described the track as “understated yet joyful,” also saying “it is a perfect way to start the album because it welcomes you in with a warm embrace.” Grobler’s ability to encompass emotional intimacy into his work was demonstrated beautifully in the middle of their set. In addition, it was an honor to speak with Grobler about his creative process. He commented on how, when he has an idea for a song, and that idea comes up in the universe, sometimes the beat is not exactly what he envisioned. The gifted musician reminisced on the talents who continue to inspire him to this day. Grobler mentioned that he values artists who “step out of the confines of what that genre means,” such as Prince or Michael Jackson. He explained that these artists have been the most influential in his own work. However, the band finds their individual power in sound and subjects they hold close to their heart. Along with their high energy and electric feel, Grobler and Beranek are incredibly passionate about their work and making a change in the world. Their creative energy is something that is just not found in the industry anymore. Grobler wants to make his messages very clear, but he does this in an incredibly humbling and uplifting way. 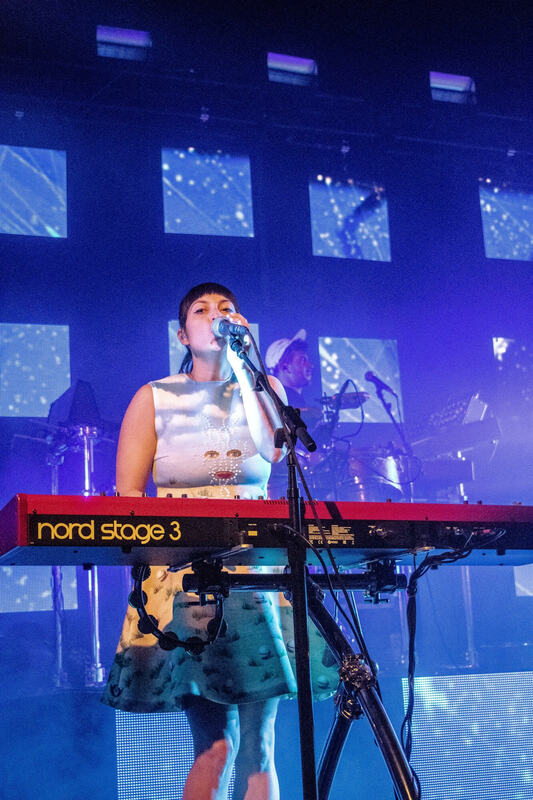 The group lays down a framework of nostalgic pleasure paired with modern “indietronica” culminating in a memorable, full-bodied performance suited for any music lover.